Not sure but these would seem to be 'hot off the press' (within the week?) as I haven't come across any pics anywhere else!! 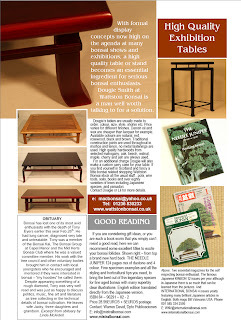 Interesting to see Angel Mota's (controversial) olea winners & David Barlow's European Beech (as above). I also like Carlos Huerta's olive- I need to get me one!!!!!! 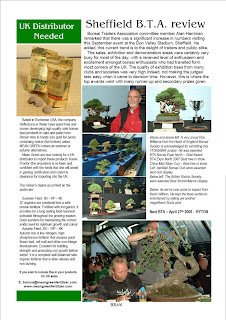 Courtesy of Paul Goff and Northamptonshire Bonsai Society. 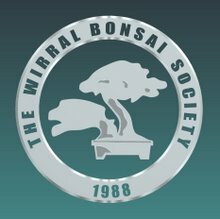 a bonsai calendar; a means of collating the snippets of info given by Ian and others on the timing of 'things' to do to your trees-items to be added as 'revealed'. a hit counter -to see if im talking to myself!! 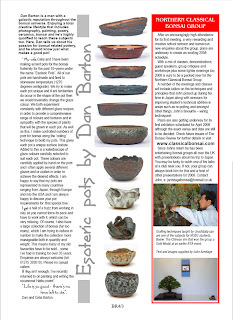 at present its one way - just me 'blurting' on to you lot. It has been mentioned that 'comments' to the posts don't work- however I think i've discovered why and rectified the problem. 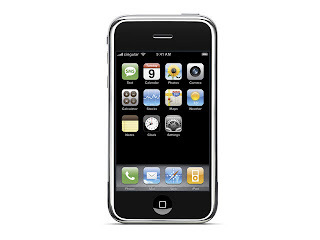 So please give one or both methods of communicating a go (even if you just comment by saying hello on this post). 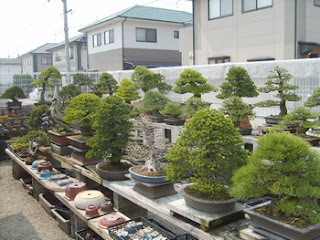 John split his talk up into a number of topics including ;the nursery that he worked at -Nobuichi Urashibata Taisho en Nursery in Shizuoka; the shows and exhibitions he visited; his trips to other nursery's and of course; his work on the trees. He talked about his host with great reverence and showed obvious gratitude for the opportunity he had been afforded, including the chance to use the dogs blanket to keep from freezing in bed!! 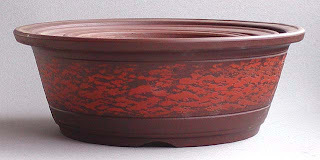 It soon became apparent that the trip had had a profound affect on him, not least of which was in coming to terms with the prices of material in Britain compared to what he would pay in Japan! 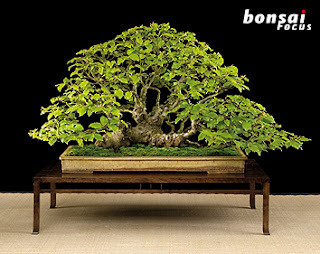 Another interesting yet disturbing subject was in learning about the declining interest within Japan for all things Bonsai particularly as the reverse could be said to be happening in the rest of the world. 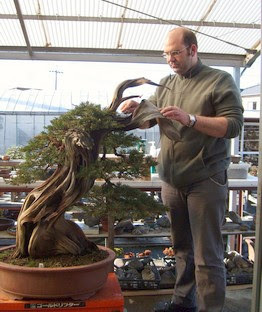 Congratulations to Lee for having his tree chosen as this months TotM. His San Jose Juniper as per the photo above (sorry for the quality-Brian was AWOL!!) 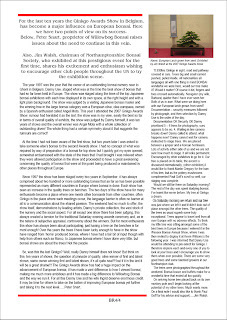 ) was chosen by our guest speaker John Armitage. For anybody who hasn't entered please be aware that I am planning on changing the question at the end of the month- so if you like Maples or Yews [or there is a last minute run on that well known tree -'other'(?)] get voting and see your favourite past the winning post!! 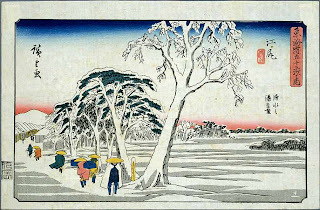 Follow the link below for a comprehensive catalogue of the work of ANDO HIROSHIGE. 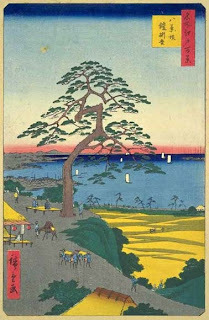 With an output of an estimated 5,400 woodblock prints, Ando Hiroshige was one of the prolific artists of ukiyo-e.
Ando Hiroshige was born in Edo (Tokyo) as the son of a samurai and fireman. At the age of twelve, both his parents died. Two years later, in 1811, the young Hiroshige received a chance to join the famous Utagawa painting school. 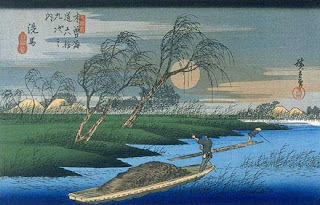 He became most renowned when he changed from the traditional figurative to landscape pictures and his most famous work includes the '100 views of Edo'. I find them very evocative images. I hope you find them as interesting as I do? Trees Matter - Make the Most of Them. 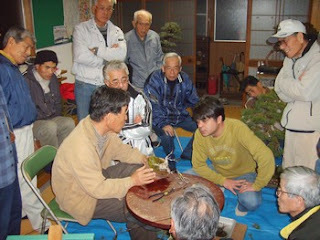 Autumn festival to make the most of trees for their seeds, nuts and fruits, and autumn colours. 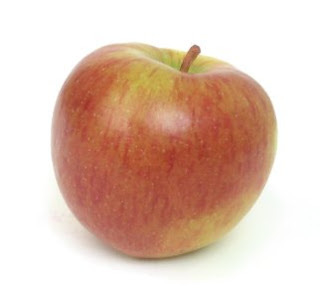 Starting on the autumn equinox (considered to be the first day of autumn), this festival encourages everyone, particularly schoolchildren and families, to gather seeds to grow the trees of the future or to enjoy fruit in jams and pies. 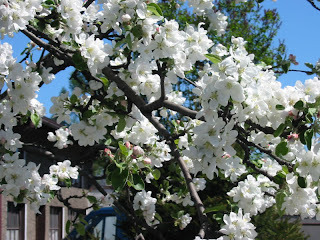 People can go for a walk to collect seeds, nuts and fruits from local parks and woods or take part in organised events. 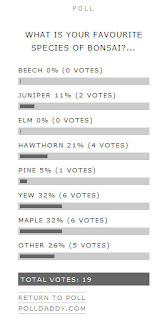 Seed Gathering Season is the time to gather seeds to grow a whole range of new trees for ‘your ground’ — anywhere you live, work, learn or enjoy yourself that would be all the better for more trees — or to pick or buy fruit for delicious jams or pies, so helping to ensure the survival of local orchards and fruit tree varieties and the wildlife they sustain. Don't know where to get that elusive size or shape? Well check out the site of Tokoname, the well known Japanese pot supplying region that collectively have been producing ceramic ware for 900 years!! 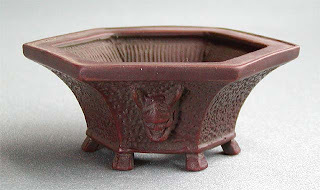 It's great for pots of different shapes, size and colour -you can even order them over t'internet . Even if you don't buy them I find the pictures are good enough to 'acquire' and be used in virtual's. This months guest is here to prove that there's no such thing as a free lunch!! 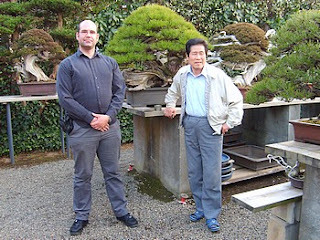 John recently realised his life long ambition to study bonsai under a Japanese master. 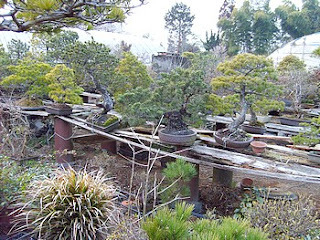 During a sabbatical from his job John enjoyed a three month study period at Nobuichi Urashibata Taisho en Nursery in Shizuoka, Japan. 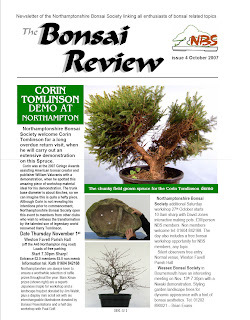 Overwhelmed by the enormous support he received from the UK bonsai community he is know paying the price.........by visiting and talking at those groups that 'stumped up' and helped in realising the ambition!! I'm sure it will be an enjoyable, enlightening talk- one not to be missed. 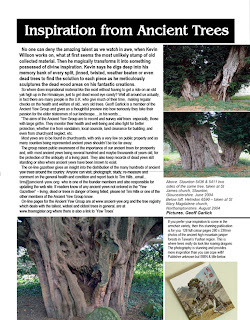 You can see more of John's trees via the link below to a site that highlights the work of a group of enthusiasts that he helped set up in Yorkshire.